After Jesus was arrested in Gethsemane, He was brought before the high priest, Caiaphas. All the scribes and elders of the people of Israel had gathered there. Peter followed Jesus at a distance. 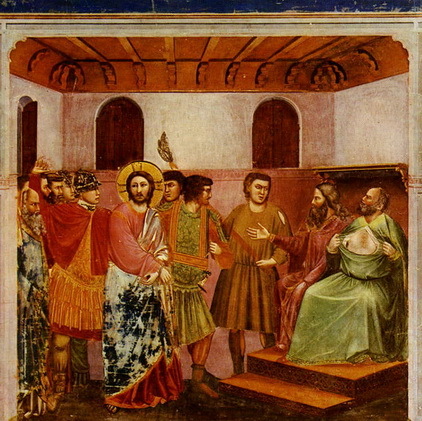 He entered the high priest’s courtyard and sat down with the servants there. The chief priest, the elders and the council were looking for excuses to accuse Jesus so that they can kill Him but they couldn’t find any. Jesus kept quiet and said nothing.